When most people think about keeping a pet, they think about having a companion, having someone to snuggle up with and unconditional love. Have you ever wondered why it feels so good to care for and own a pet? Research carried out in back in 2005 founded that “contact with nature may provide an effective population-wide strategy in prevention of mental ill health”. It has been proven, that keeping fish improves mental health and also helps to reduce anxiety. Research carried out by Plymouth University discovered that just watching fish in an aquarium ‘led to noticeable reductions in participant’s blood pressure and heart rate.’ Perhaps you’ve noticed that most doctor’s surgeries and waiting rooms have aquariums? This is not just for decorations, studies have proven that when aquariums are placed in waiting rooms, the patient’s anxiety levels are reduced and they are more relaxed during surgery. Not only are fish beneficial in waiting rooms, they have also worked their magic in care homes. Specifically those care homes that specialise in caring for patients with Alzheimer’s. When people who have Alzheimer’s are exposed to aquariums, their disruptive behaviours were reduced and they had a better appetite. Keeping fish is also a genuine and effective therapy for children who display disruptive behaviours. It’s important to note that you don’t actually have to buy fish for this type of therapy to be effective, what’s important is how often you are able to watch fish. If you live close by to an aquarium, you may choose to go and view the fish there. To get the full benefits of our fishy friends, the more fish you see, the better your mood will be, it doesn’t matter on the size of the fish or the tank. 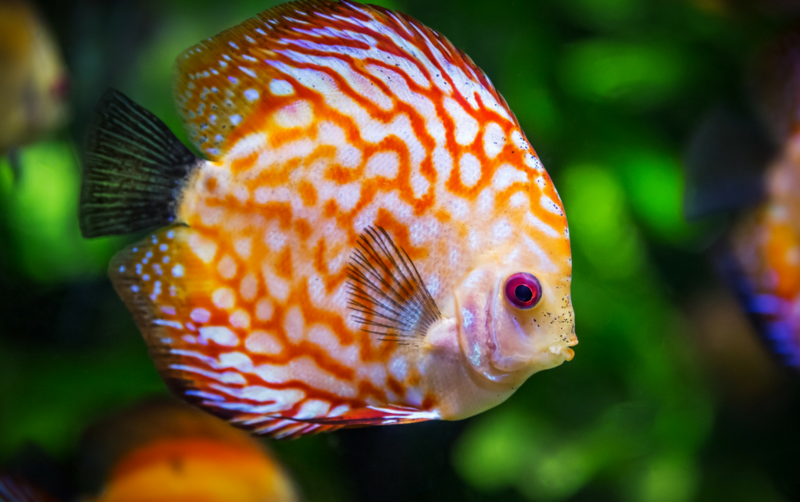 When you think about the amount of money which is spent on treating mental health illnesses, keeping fish can quickly become a very cost effective way of providing therapy. The infographic below provides a great visual summary of all the recent research which has been carried out in to the health benefits of keeping fish.